Lithonia Family Eyecare (Lithonia) - Book Appointment Online! Our office is dedicated to providing quality eye care services with a personal touch. At our office, we utilize the latest advances in health technology to provide comprehensive eye care for the entire family. We are conveniently located and have extended hours. 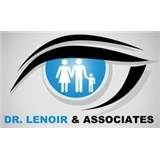 Thank you for visiting the website and we look forward to serving your family’s optometric needs.